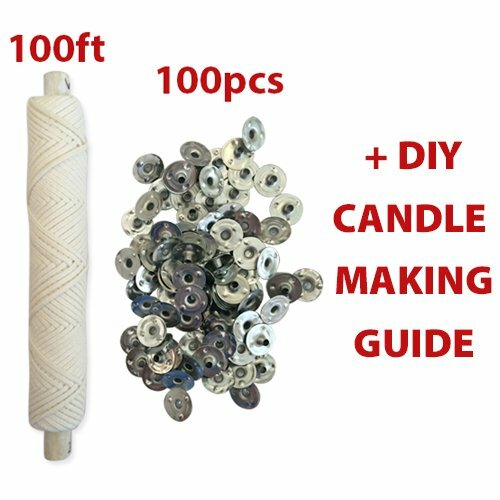 CozYours #25ply BRAIDED WICK: 100FT SPOOL/100 CANDLE WICK SUSTAINER TABS.Candle Wicks For Candle Making!Candle DIY HACKS E-BOOK INCLUDED! Wicks NOT PRE-WAXED; Note that all wick should be primed / waxed before you put it in a candle. Priming serves several purposes but it’s mainly to ensure there is no air in the wick and to provide some instant fuel for the flame so there’s something to burn before the melt pool builds. 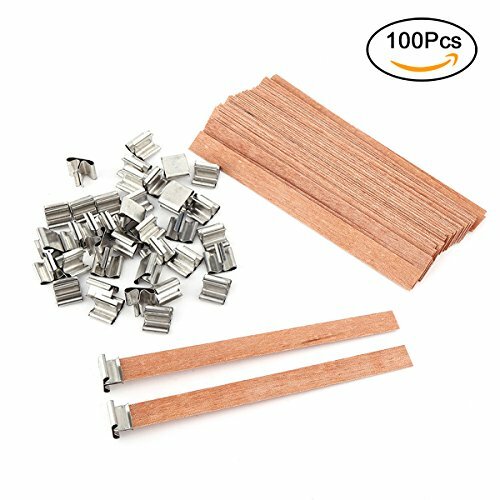 QUALITY: High quality Wicks and Tabs. Quality control. 2 YEAR WARRANTY • If you are not satisfied with our products we’ll give you your money back or offer you a replacement. 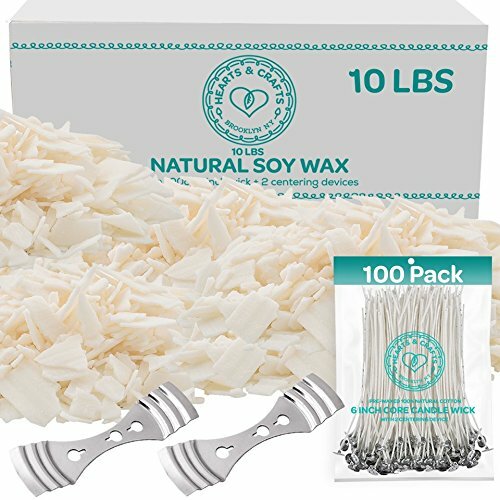 ✅ 1 Braided Candle Wick Spool 100ft (30,48 m) Long and 100 Metal Sustainer Tabs(Dia:0.51″(12,5mm) in 1 pack!Perfect for Making your own candles with diameters opening Less than 2 inches;Wicks easy to cut down to the size you want(Pre-measure & cut your wick,put and thread it through.Pinch the center with a pair of plyers.Make sure you soak the wick in oil or wax before use to provide some instant fuel for the flame so there’s something to burn before the melt pool builds. ✅ 100 SUSTAINER TABS constructed in Metal. 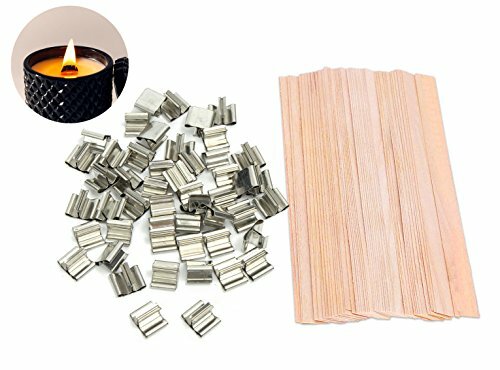 Central hole Dia: 0,09″ (2.5 mm);High Quality Braided Candle Wick Spool 100ft & Metal Tabs 100 pcs IN 1 PACK – Must Have For Homemade Candles!!! ✅ GET YOUR EXCLUSIVE 2 E-BOOKS WITH YOUR PURCHASE – 70 CANDLE MAKING HACKS & 291 DIY HOUSEHOLD HACKS! – 373 pages of the best ideas and instructions that are simple and convenient!Designed in Canada. ENJOY! !